Gearhead Outfitters is sponsoring a 90-day online running program. This program is for everyone, from new runners to advanced marathoners. It is designed to teach you proper running form in order to reduce or eliminate potential injuries as much as possible. At the end of the 90 days, we invite you to put your training to the test in the Gearhead Endurance Challenge. This is a one of a kind event and will consist of 30 minute intervals for 12 hours. Participants will run a 2.5 mile loop every 30 minutes. You can run the loop once, or as many times as you can in 12 hours! Participants who have not run before or cannot run four minutes at a time without stopping to walk. The goal of this group is to finish a 5K. Their goal is to finish mostly running, but may still include regular walk breaks. Participants that can run 25-30 minutes at a time without having to stop and walk, and are interested in improving in speed and distance. Some participants may still include walk breaks in their training. Participants who have been running at least one year and have possibly competed in several races from 5K to marathon distance. Participants are interested in speed and distance training. Registration opens in the summer of every year. The date for the 2017 Project 90 is Sunday, July 16. 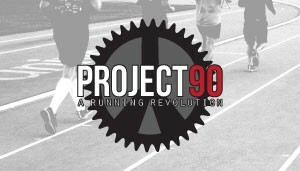 Why Train with Project 90? To teach you proper form, breathing techniques, nutrition and hydration tips, proper shoe fitting, and much more.